Hard work in the garden during spring will begin to pay off in June as plants take hold and flowers bloom, but there is still planting that can be done to create a beautiful summer garden. Thin Fruit: It may be tempting to leave all fruit on trees no matter their size, but thinning excess fruit results in less strain on the tree or vine and makes for better-developed remaining fruit, especially for trees bearing fruit for the first or second time. Plant Drought Tolerant Herbs: While some gardeners may cut back on vegetable planting this year due to the drought, herbs require little water. Rosemary, English thyme, oregano and sage all do well with minimal watering. Remember, however, as with anything newly planted, regular watering is needed until the roots are established. 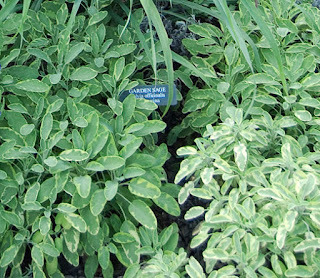 Control Weeds Before They Flower: All plants, including weeds, are growing well by now. Pull weeds before they have a chance to flower and spread their seed. Then cover the just-weeded area with mulch to keep weeds from returning. Caring for Avocado Trees: Although avocado trees are hearty once established, they are susceptible to overwatering during their early years. Plant your avocado trees in well-draining, loose soil. Let the soil around the tree become somewhat dry before watering. Flowers bloom in spring but most will drop off, leaving only the hardiest fruit to grow. Plant Pumpkin Seeds: Now is the time to plant pumpkin seeds so pumpkins are ready to harvest by Halloween. Seeds will begin to sprout seven to 10 days after planting. Leave room for the plants' vines to spread and develop. The plants' yellow flowers will begin to appear about three weeks after plant growth begins. The flowers will develop into pumpkins after they are pollinated. Plant Heat-Loving Vegetables: There is still time to plant vegetables that thrive in the summer heat and survive without constant watering once established. These include corn, cucumbers, eggplant, green beans, okra, peppers, tomatoes, yellow squash, melons and zucchini. Deep Water Mature Trees: Although mature trees have vast root systems, they need watering in drought conditions. If the soil is dry six to eight inches below the surface around the tree's drip line, water slowly so the water reaches deep into the soil. Only water when the soil is dry. Check Irrigation Systems: Repair broken sprinkler heads and leaks in drip irrigation hoses. Make sure water is reaching the right locations (and not watering unused space or hard landscape). Check your lawn while the sprinklers are on to see if there is water runoff. Make watering time adjustments when necessary.